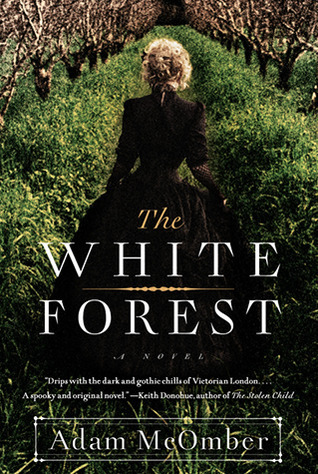 THE WHITE FOREST is an utterly enchanting, delightfully creepy fairy tale-meets-mystery. The novel is narrated by Jane, who lives with her father in a crumbling estate. She takes joy in wandering the heath with her friends Nathan and Maddy, but as the three come of age, Maddy and Jane both develop feelings for Nathan. Nathan, having returned damaged from the war, finds himself mired in a cult run by Ariston Day before he disappears. Renowned investigator Inspector Vidocq (on whom Poe based his fictional detective) is on the scene to solve the case, but Jane hesitates to give him all the relevant information, particularly that she has a special gift for seeing the souls of objects. She and Maddy decide to track down Nathan themselves, but the cult is as fascinated with Jane as she is with it. The glimpses of the White Forest range from creepy to terrifying, the minions of Ariston Day looming malevolently over the scene. Jane is an amiable protagonist, believable despite her otherworldly gifts. She is capable and competent in her investigation, which runs into dangerous areas, but she doesn’t take excessive risks. Her relationship with Maddy is complex and interesting. The pacing is outstanding. I had difficulty putting the book down when I needed to, simply because I was caught up in the slowly unfolding story. As the various threads come together to reveal the truth at the heart of the novel, I was riveted. An outstanding paranormal mystery/fairy tale/coming-of-age story.